The thrill and excitement of slots helps to make them among the most popular games at online casinos today. Typically, you will find that there is a larger selection of slots than any other type of game at an online casino. So, after you find the best online slots casinos, if you want to spin the reels, how do you know which slots game to choose? 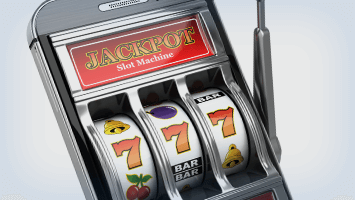 The first thing that you need to do is to determine why you want to play slots? If you are primarily hoping to just have a fun experience, then it may be worth focusing on the slots that have a clear theme. These slots tend to include the more impressive graphics, sharper animation and exciting features. So, for example, if you are a movies fan, then you may want to check out the slots based on big movie titles such as Gladiator or Rocky. You will find that these incorporate real images and genuine soundtracks from the movies themselves. Similarly, if you like sports, then football-themed slots such as World Football Stars feature some of the game’s top players. There is also a good range of Marvel-themed slots available too, which include creative bonus features that highlight the ‘special powers’ of your favourite action heroes. However, if you are looking to play a slots game with the aim of winning money, then there are a whole range of other factors to consider. First and foremost, before parting with your money, make sure that you are using a reputable online casino. It can be easy to get drawn into playing somewhere undesirable. To try to prevent this, you should check out the pay history on the site. The larger the number of payouts, then the more likely that it’s a trustworthy online casino. Secondly, it is worth doing a quick online search to find reviews of the site and to check whether there have been any complaints posted about the online casino in question. The next step is to find the slots that regularly pay out cash prizes. If you are looking to simply win a consistent amount of money, then search for those that pay out even small amounts but do so regularly. That way, you are less likely to find yourself out of pocket. However, if you are looking to land the big jackpot win, then you should play slots which offer a progressive jackpot. With these games, a portion of each wager is added to the pot until one lucky punter lands the big prize, which just keeps on getting bigger until it is claimed. Keep an eye out too for new slots games. Quite often these produce prizes more regularly than better established slots games in an effort to attract players. After all, what better way to get new people to play than to build a reputation as a winning address for cash prizes? It is also worth searching for slots games that include scatter features and bonus rounds. When you land a scatter symbol, you usually win free spins. And well, free spins are another chance to win money. Also, bonus rounds are a great way to land usually smaller amounts of cash. Quite often bonus rounds have a creative or inventive theme. Just as importantly though, they also offer an extra chance to win. With so many slots options to choose from, it can be difficult to pick the right game for you. However, if you know what you’re looking for, it shouldn’t be too difficult to pick a winner!